Believe it or not, the harsh winter and almost equally unforgiving spring are over and summer is finally here. Before you hit the beaches or leave for your summer vacations, take care of your HVAC unit with a summer season maintenance plan. It’s the perfect weather to take care of your home’s heating and air conditioning system, so you can face the rest of the year in comfort. Have you ever gone through a summer without any air conditioning on? Without proper cooling, summer can get unbearably hot. Save yourself the headache of emergency air conditioner problems by making sure your system is ready to take on the summer. 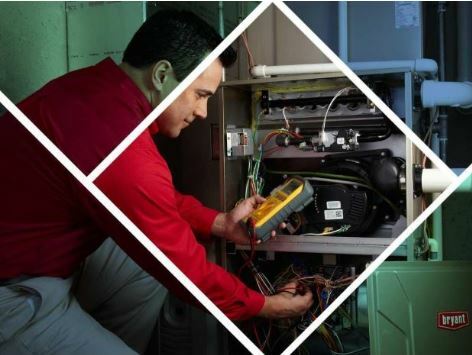 Taking care of your furnace is probably the last thing on your mind during the summer. As the end of summer approaches, think about getting the system checked. There’s no better time to take care of your home’s furnace and heating system than during a season when you don’t expect to use it. Maintenance and repairs take time—time you don’t have when the colder months kick in—so get it done now and you’ll thank us later. Take advantage of the clear skies and bright sunshine to remove obstructions from the outdoor unit of your air conditioning system. Make sure that the condenser is free of tree branches, dead leaves, or any other possible debris. Clean or replace the air filters to help air circulation flow better inside your home and empty the drainage hole right underneath your air conditioner. Enjoy a hassle-free summer with O.K. Heating and Air Conditioning. Give us a call today at (925) 337-8319 and ask us about our services. Our services are available in Madison, WI, and all nearby areas.